Today, we might liken an experience to "something out of a movie." But back in 1872, things were different. "'Why this is like a book, isn't it?' 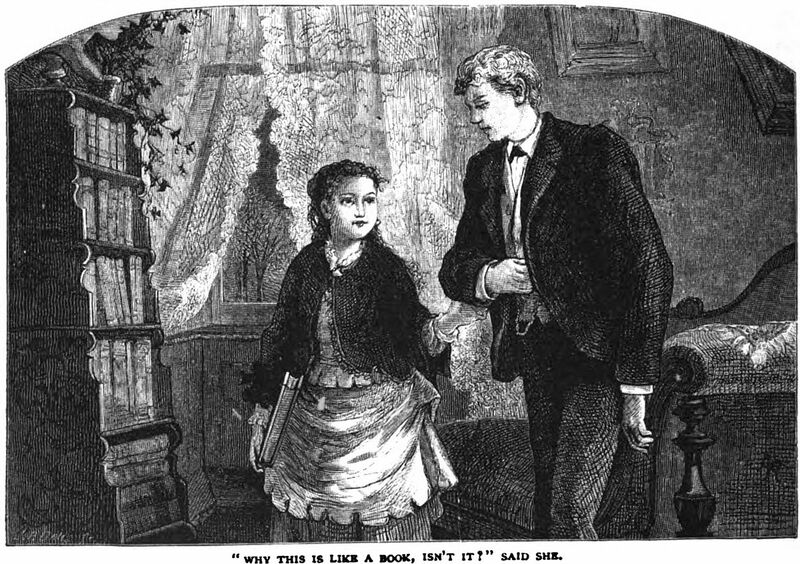 said she" (Century Illustrated).